"This is a very good frosting. You may flavor it with any flavoring extract to suit your needs." Combine sugar, water, and cream of tartar in a saucepan. Cook until candy thermometer reaches 238 degrees F (115 degrees C), or until syrup spins a long thread when dripped from a spoon. Beat egg whites until stiff. Pour a thin, slow stream of the syrup into egg whites, beating constantly until frosting stands in peaks. Stir in salt and vanilla to taste. 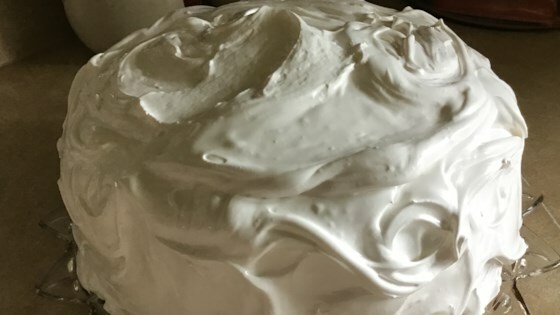 See how to make an easy cream cheese frosting. I wasn't all that impressed with this frosting, so I scraped it and used my buttercream frosting recipe instead. You may have better luck.